Starting with Qt 5.7, we added the ability to create Android services using Qt. In this article we’re going to see how to get started and also how to communicate between the two. Before we get started I want to add a big bold WARNING about the performance! Because the services are run in the background for a very long time, make sure your service doesn’t drain the device battery! Starting with Qt 5.10, you must use QAndroidService instead of QCoreApplication on the server side. BE AWARE: Every single Qt service/activity MUST run in it’s own process! Therefore for each service you must set a different android:process attribute value. Step III: How to start the service ? This method is used quite seldom and is useful ONLY when you really need to run the service at boot time, otherwise I do recommend you to start it on demand. Step IV: Where to put your Qt Service code? I recommend you to use this method only if your activity and your service(s) share a large piece of code. We’ve seen how to create and how to start a Qt on Android service, now let’s see how to do the communication between them. There are lots of solutions out there, but for any Qt project, I do recommend you use QtRemoteObject, because it will make your life so easy! As you can see it’s very Qt specific! Let’s see how to add it to your projects and use it. If needed, replace ~/Qt/5.10.1/android_armv7 with your Qt version and android ABI of choice. Let’s check the code a little bit. First you need to implement all .rep interfaces (PingPongSource), then export PingPong object using enableRemoting. the activities & service(s) must run on a different process. Please use the above bug report links to vote for your favorite tasks, the ones that have more votes (usually) are implemented first! I didn’t know the QtRemoteObjects exitence, that will simplify the process a lot. Many thanks for this informative blog post, Bogdan. Another tool you can use to view android logs as well heap and system information is the Android Device Monitor, https://developer.android.com/studio/profile/monitor.html. It installs with Android Studio. I create my own project with separate .so files for app & service similarly with your client/server example. It works nice, but I encountered some problems. 1) client start service calling static java method with ‘startService’ command. 2) service run server.so lib with c++ code (specified in android.app.lib_name). 3) client and server exchange some information. 4) client stop service calling static java method with ‘stopService’ command. 1) after ‘stopService’ command java part stopped, but c++ part continues execute (I see that client/server exchange does not stopped). It’s normal behavior? Exist some simple method stop service from client fully? but this java file not building and not available from c++ code. 1) When java part destroyed, I call c++ quit method with jni and thus stop c++ part. unfortunately, on Windows with mingw this commands cause an error. Does this https://github.com/KDAB/android/tree/master/examples/service example works ? in service ,i start a QThread, but app was crash when QThread.start(), it is bug? I’ll need more info, can you create a simple example and open a bug report on https://bugreports.qt.io ? I have a strange error. After I start application and send some ping message to service (server), but after that, the service not working, I cannot get any pong event. When I go to setting, I saw the service restarting 0 processes and 1 service. Thank you so much for the article. But I have a problem. I downloaded your project from GitHub. I built and ran it. It works, but the service is killed (0 processes and 1 service) and restart after a few seconds. How I fix it? And do I need to install Ministro service from Google Play? (I choose option “Bundles Qt libraries in APK”). What Qt version are you using? There are a few fixes in 5.10.1. No, you don’t need Ministro. My Qt version is 5.10.1. Can you show me where I need to fix? Some additional information: the service starts when the application starts. It starts perfectly if I do not close the application. But when I close the application, the service will restart after a few seconds. After several times, it has become “Not Active”. Well, that’s the correct behavior. Services that are not used by any application are usually closed. Anyway, in a couple of days I’ll retest the example and update it if needed. Yes, I know that’s the correct behavior. The service can be killed by the Android OS. But when I implement a background service in Android Studio (in onStartCommand method: return START_STICKY). It works perfectly, the service still runs even if I swipe the app in the recent menu. Hi BogDan! Thank you for the article! But the directory was not created. But using an app to check the running services, I see that the Java Service class is instantiated. – Why can't I creat a directory from the Java Service class? – Is the .so really being started as service? It’s working now! I put the libname just like the project name. I recommend you to put here the main.cpp version of the same .so for service and app. Hi BogDan, I use the same .so for service and app. I’m trying to make Android Interprocess Communication (IPC) with Messenger between the Activity and the Service (java implementation) since they are in different processes. But doing that doesn’t load the .so as service, just loads the Java Service implementation. It seems that is not possible to load the Java Service Implementation and the .so as service together. Actually, what I want is to receive the token and the messages from FCM services and process them in my .so service . It works fine in the app process, but the app process ends sometimes (causing an exception saying there is no implementation found for that native method). I tried to set the same process name (:qt) for the FCM services, but they crash. So, I want to exchange data between differents processes. Is that possible? The line I was talking about is the meta-data: android.app.use_local_qt_libs. Please try with Qt 5.12.1, I think I fixed a bug on this matter. If it still not working please use https://bugreports.qt.io to file a bug report. How to have that myservice running in a separate android application and still communicating with client application ? I ported my project from Qt5.9 to Qt5.12 (both LTE) and I stumbled heavily over the 5.10+ change from QCoreApplication to QAndroidService. It cost me several days… it doesn’t crash instantly… just after approx. 10s came up a runtime exception (“W/Binder: Caught a RuntimeException from the binder stub implementation.” and that’s probably just one consequence of the misbehavior) and then the service has restarted. Isn’t there a chance to write at least a clear message to the logcat? As you wrote already a better and more reliable integration of Android Services into the QtCreator would be desirable. Then it would be easier to catch wrong implementations at build time. 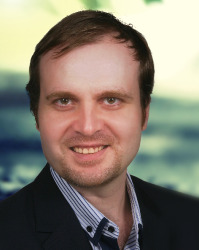 But anyway, BogDan thank you very much for your long and profund development! It will be great if you can create a simple example that I can use to reproduce the problem and create a full bug report here https://bugreports.qt.io .